Single hung windows are a simple and economic alternative to double-hung windows. Double-hungs and single-hungs feature a similar, vertically sliding design. The window frame, sash, and mechanics of single-hung windows are similar to those in double-hung windows, but the top half of single-hungs are fixed. As with double-hung windows, they come in a variety of designs, shapes, and sizes to meet your needs. Let’s take a second look at single-hung windows. Single hung windows offer many possibilities to homeowners wishing to replace their original windows. Thanks to their design, they can be used in historical retrofit replacements to keep the look of the original windows. In addition, because they open vertically, single-hung and double-hung can fit in many spaces where exterior or interior room and traffic may not allow for windows that open outward. This includes the window and installation. This includes the window and installation. 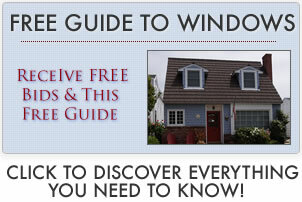 Learn more about what replacement windows cost. Double and single hungs do not differ greatly in price. There is huge discrepancy in the cost of single hungs, mainly based on manufacturer and material. At the high cost end are manufacturers such as Andersen and Pella; from a material point of view, single hung wood windows will cost the most. Lower end manufacturers and materials such as vinyl frames will be much more affordable. Because many home buyers may consider double hung to be much more expensive than single hung, double-hung tend to be the preferred choice for those planning to sell their homes in the future. Unlike casements or awnings that open outward, they open vertically, allowing for more external and internal space. And hey can be used to keep the look of the original windows or in historical retrofit replacements. Thanks to new technologies and materials, many brands are now considered legitimate energy efficient options.